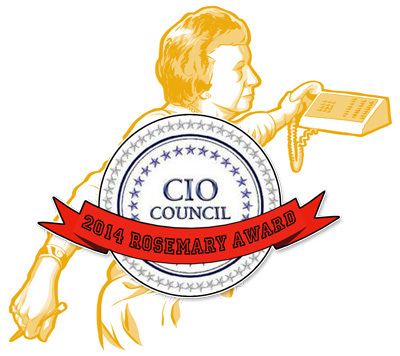 Washington, DC, March 18, 2015 – The Federal Chief Information Officers (CIO) Council has won the infamous Rosemary Award for worst open government performance of 2014, according to the citation published today by the National Security Archive at www.nsarchive.org. The National Security Archive had hoped that awarding the 2010 Rosemary Award to the Federal Chief Information Officers Council for never addressing the government’s “lifetime failure” of saving its e-mail electronically would serve as a government-wide wakeup call that saving e-mails was a priority. Fallout from the Hillary Clinton e-mail debacle shows, however, that rather than “waking up,” the top officials have opted to hit the “snooze” button. The Archive established the not-so-coveted Rosemary Award in 2005, named after President Nixon’s secretary, Rose Mary Woods, who testified she had erased 18-and-a-half minutes of a crucial Watergate tape — stretching, as she showed photographers, to answer the phone with her foot still on the transcription pedal. Bestowed annually to highlight the lowlights of government secrecy, the Rosemary Award has recognized a rogue’s gallery of open government scofflaws, including the CIA, the Treasury Department, the Air Force, the FBI, the Justice Department, and Director of National Intelligence James Clapper. Chief Information Officer of the United States Tony Scott was appointed to lead the Federal CIO Council on February 5, 2015, and his brief tenure has already seen more references in the news media to the importance of maintaining electronic government records, including e-mail, and the requirements of the Federal Records Act, than the past five years. Hopefully Mr. Scott, along with Office of Management & Budget Deputy Director for Management Ms. Beth Cobert will embrace the challenge of their Council being named a repeat Rosemary Award winner and use it as a baton to spur change rather than a cross to bear. Left to Right, US CIO Tony Scott, OMB Deputy Director for Management Beth Cobert, and DOS CIO Steven Taylor. Many on the Federal CIO Council could use some motivation, including the beleaguered State Department CIO, Steven Taylor. In office since April 3, 2013, Mr. Taylor is in charge of the Department’s information resources and IT initiatives and services. He “is directly responsible for the Information Resource Management (IRM) Bureau’s budget of $750 million, and oversees State’s total IT/ knowledge management budget of approximately one billion dollars.” Prior to his current position, Taylor served as Acting CIO from August 1, 2012, as the Department’s Deputy Chief Information Officer (DCIO) and Chief Technology Officer of Operations from June 2011, and was the Program Director for the State Messaging and Archival Retrieval Toolset (SMART). While Hillary Clinton repeatedly claimed that because she sent her official e-mail to “government officials on their State or other .gov accounts … the emails were immediately captured and preserved,” a recent State Department Office of Inspector General report contradicts claims that DOS’ e-mail archiving system, ironically named SMART, did so. The report found that State Department “employees have not received adequate training or guidance on their responsibilities for using those systems to preserve ‘record emails. '” In 2011, while Taylor was State’s Chief Technology Officer of Operations, State Department employees only created 61,156 record e-mails out of more than a billion e-mails sent. In other words, roughly .006% of DOS e-mails were captured electronically. And in 2013, while Taylor was State’s CIO, a paltry seven e-mails were preserved from the Office of the Secretary, compared to the 4,922 preserved by the Lagos Consulate in Nigeria. Even though the report notes that its assessments “do not apply to the system used by the Department’s high-level principals, the Secretary, the Deputy Secretaries, the Under Secretaries, and their immediate staffs, which maintain separate systems,” the State Department has not provided any estimation of the number of Clinton’s e-mails that were preserved by recipients through the Department’s anachronistic “print and file” system, or any other procedure. 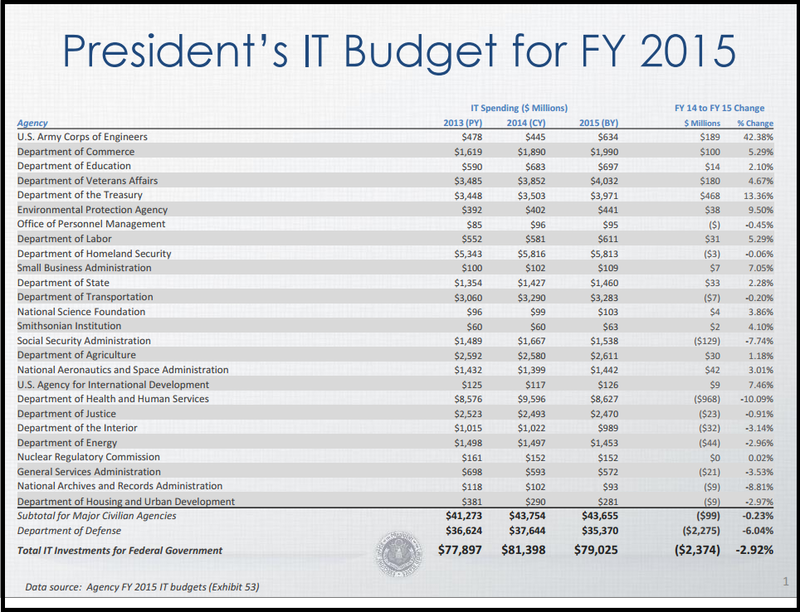 Left: President’s IT Budget for FY2015 shows State Department’s IT budget for FY2014 topped $1.4 billion.Click to enlarge. The unfortunate silver lining of Hillary Clinton inappropriately appropriating public records as her own is that she likely preserved her records much more comprehensively than her State Department colleagues, most of whose e-mails have probably been lost under Taylor’s IT leadership. 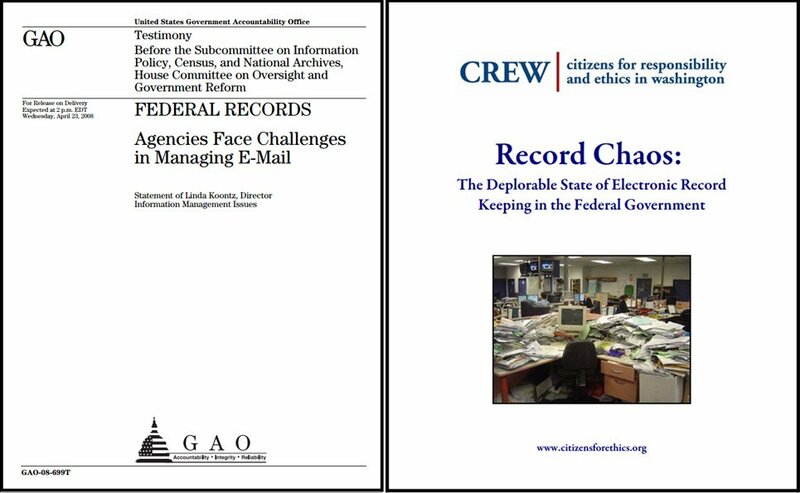 Right: 2008 reports by CREW, right, and the GAO, left, highlighted problems preserving e-mails. Click to enlarge. Troublingly, current Office of Management and Budget guidance does not require federal agencies to manage “all email records in an electronic format” until December 31, 2016. The only part of the federal government that seems to be facing up to the e-mail preservation challenge with any kind of “best practice” is the White House, where the Obama administration installed on day one an e-mail archiving system that preserves and manages even the President’s own Blackberry messages. The National Security Archive brought the original White House e-mail lawsuit against President Reagan in early 1989, and continued the litigation against Presidents George H.W. Bush and Bill Clinton, until court orders compelled the White House to install the “ARMS” system to archive e-mail. The Archive sued the George W. Bush administration in 2007after discovering that the Bush White House had junked the Clinton system without replacing its systematic archiving functions. CREW subsequently joined this suit and with the Archive negotiated a settlement with the Obama administration that included the recovery of as many as 22 million e-mails that were previously missing or misfiled. As a result of two decades of the Archive’s White House e-mail litigation, several hundred thousand e-mails survive from the Reagan White House, nearly a half million from the George H.W. Bush White House, 32 million from the Clinton White House, and an estimated 220 million from the George W. Bush White House. The destruction of other federal records was even more blatant.Jose Rodriguez, the former CIA official in charge of the agency’s defunct torture program ordered the destruction of key videos documenting it in 2005, claiming that “the heat from destroying [the torture videos] is nothing compared to what it would be if the tapes ever got into the public domain;” Admiral William McRaven, ordered the immediate destruction of any emails about Operation Neptune Spear, including any photos of the death of Osama bin Laden (“destroy them immediately”), telling subordinates that any photos should have already been turned over to the CIA — presumably so they could be placed in operational files out of reach of the FOIA. These rogues make it harder — if not impossible — for agencies to streamline their records management, and for FOIA requesters and others to obtain official records, especially those not exchanged with other government employees. The US National Archives currently trusts agencies to determine and preserve e-mails which agencies have “deemed appropriate for preservation” on their own, often by employing a “print and file” physical archiving process for digital records. Any future reforms to e-mail management must address the problems of outdated preservation technology, Federal Records Act violators, and the scary fact that only one per cent of government e-mail addresses are saved digitally by the National Archive’s recently-initiated “Capstone” program.